Judge William Comberford MP died on 11 June 1472 [see Comberford 3: The early Comberford family],  and no member of his family attained similar importance in south Staffordshire for a century, until the Comberford family began to increase in prosperity and in influence, due in particular to the wealth and status accrued from their inheritance of the Beaumont family estates in Wednesbury. Meanwhile, William Comberford’s estates passed to his elder son, John Comberford (ca 1440-1508). JOHN COMBERFORD (ca 1440-1508), of Comberford, was probably born ca 1440. A month after Easter Day, 1 Edward IV (1461), as John Cumberford, son of William Cumberford, he is named in a court case involving the lease of two messuages, 60 acres of land, 10 acres of meadow and eight acres of pasture in Hopwas, Coton and Tamworth. John Comberford was a contemporary of George Comberford of Burton-upon-Trent, Staffordshire, gentleman, who on 25 May, 15 Edward IV (1475), entered into a bond in five marks payable on the Feast of Saint Thomas [? 7 July] to Thomas Feld, Abbot of Burton, and Dom. Nicholas Ward, monk of Burton. On 19 August 1485, the Lancastrian claimant to the throne, Henry Tudor, Earl of Richmond, marched through Lichfield and Tamworth on his way to setting up camp on Staffordshire Moor, outside Tamworth, prior to the Battle of Bosworth Field. The battle site is 13 miles east of Comberford, and the encampment is mentioned by Shakespeare in Act 5, Scene 2 of Richard III: “From Tamworth thither, is but one day’s march.” The Battle of Bosworth Field was fought on 22 August 1485, 12 miles east of Tamworth near the village of Market Bosworth. Sir Thomas Ferrers of Tamworth Castle fought for King Richard III, who was killed during the battle. The House of Lancaster won the battle and Henry Tudor became king as Henry VII. About two years later, on 20 April 1487, John Cumberford, son and heir of William Comberford, bought out Thomas Stokley’s interest in the lands, tenements and rents in Newport Pagnell and Tykford, Buckinghamshire, acquired by Stokley and John Comberford’s father in 1470-1471. John Comberford did not take an active part in public life until the Wars of the Roses were over and the Tudor dynasty was well established on the throne for 17 years. In 1502, he became a Justice of the Peace and a member of the Quorum. In 1503, he served on a commission to inquire into alienated crown lands. He was MP for Staffordshire 1502-1508. He died before July 1508. John Comberford married his father’s ward, Johanna, the only daughter and heir of John Parles of Watford and of Shutlanger, near Stole Bruerne, five miles south of Northampton. In 1504, after his wife had died, John Comberford, together with his son Thomas and daughter-in-law Dorothy, sold the former Parles estates in Stoke Bruerne, Shutlanger, Alderton and Wappenham to Richard Empson of Easton Neston, when the estate was described as consisting of eight messuages, six tofts, one mill, 200 acres of land, 24 acres of meadow, 100 acres of pasture, 40 acres of wood and 14 shillings rent. John Comberford died in 1508. 1, Thomas Comberford (ca 1472-1532), of whom next. THOMAS COMBERFORD (ca 1472-1532) of Comberford. He was born before 1472, and he was at least 36 when he succeeded his father at Comberford and Wigginton. 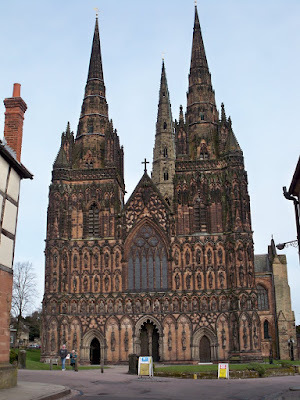 However, before that, in Lichfield in 1495, as M’r Thomas Cumberforth, he was admitted to membership of the Guild of Saint Mary and Saint John the Baptist. In 1499, Thomas Comberford and David Rochford, a Lichfield mercer, leased the manor of Timmor for 12 years from John Beaumont. Timmor was a part of the Bishop of Chester’s manor of Lichfield (later Longdon) and so continued until at least 1739. Beaumont died in 1502, with three infant daughters as his heirs. By a partition of the inheritance in 1540–1541, Timmor was allotted to Joan, the eldest daughter, and her husband William Babington. Eventually it passed to the Skeffington family of Fisherwick, who also became the owners of Comberford Hall in the 17th century [see Comberford 8: Comberford Hall]. Thomas was a progressive farmer, and between 1511 and 1513 he enclosed much of the land in the common fields around Comberford. In 1511, he hedged 13 acres of pasture in Hillfield and increased his park by a quarter acre of common land. In 1513, 12 acres of pasture, 28 acres of arable land called “le conyngie” were hedged. In 1514, he secured full rights over the manor of Wigginton and a mill, 80 acres of land, six acres of meadow and £19 in rent in Wigginton, Hopwas, Coton, Comberford and Tamworth. He also acquired the manor of Watford, north of Daventry in Northamptonshire, along with the advowsom of Yelvertoft, and in 1510 presented his wife’s nephew, the Revd Thomas Babington, to that living or parish. In 1517, Thomas was an examiner in a case in the Court of Star Chamber. In 1519-1520, he served as Excheator of Staffordshire, the lawyer responsible for property lapsing to the crown or lord of the manor when the owner died without heirs. We have a good account of Thomas Comberford’s land holdings in the Lichfield area around the year 1525, when John Archard, Master of Saint Mary’s Guild, Lichfield, recorded the land holdings of the guild on the outskirts of the city and also provided a thorough account of neighbouring estates held by Thomas Comberford, particularly in Wall and Wigginton. In that account, Archard spelt the family’s name variously as Comberfort, Combyrford, Combyrforde, Combyrfort, Cumberforde, Cumberforte and Cumbyrford. Seven years later, when Thomas Comberford died on 6 January 1532, his estates included the Manor of Wigginton with a water mill, 24 acres of meadow, 100 acres of wood, £9 rent, 30 messuages, 10 cottages, 100 acres of land, 500 acres of meadow, and 30 shillings rent; common pasture for 100 cattle and 500 sheep, &c., in Wigginton, Hopwas, Coton, Comberford and Tamworth; the Manor of Comberford, held of their heirs of Lord Abergavenny by fealty, and a rent of £29 paid to Roland Hill and his heirs. Thomas also had the right to hold a fair in Tamworth twice a year, the rights of fishery for a 2½-mile stretch along the River Tame from Lady Bridge, marking the boundary between the Staffordshire and Warwickshire parts of Tamworth, to Hopwas Bridge, and the right to keep six swans in the river. Thomas Comberford was married twice. His first wife Anne ... had no children. She was still alive in 1495, but died soon after. Thomas Comberford’s second wife Dorothea was a daughter of Ralph Fitzherbert of Norbury, near Ashbourne, Derbyshire. Dorothea (Fitzherbert) Comberford’s brothers included the Revd Dr Thomas Fitzherbert, Precentor of Lichfield Cathedral, and the Revd Canon William Fitzherbert, Chancellor of Lichfield Cathedral, while her younger sister Alice was Abbess of Polesworth, five miles east of Tamworth. 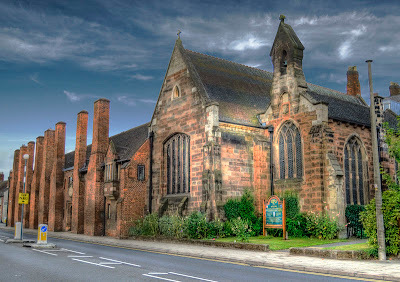 Polesworth Abbey traced its origins to Saint Editha of Tamworth, who gave her name to Saint Editha’s parish church. 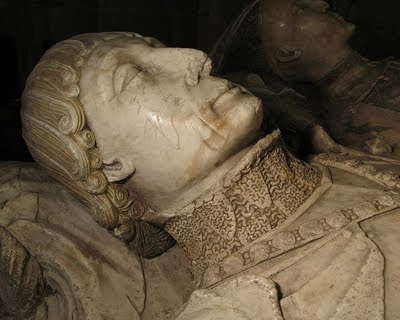 1, Humphrey Comberford, son and heir, born ca 1491, of whom following his brother Henry. 2, (Judge) Richard Comberford, “servillus ad legem”, born ca. 1495, ancestor of the Bradley branch of the family, including their Quaker descendants [see Comberford 7: The Quaker Comberfords of Bradley, Staffordshire]. 3, (The Revd Canon Dr) Henry Comberford, DD (ca 1499-1586), of whom next before returning to the principal line of descent in the family. The tomb was missing for many years, until it was found once again in the apse during renovations in 1890. However, a search 80 years later in 1970 by Patrick Comerford and the Revd C.J.W. Ward failed to find it once more. The arms of John and Emma Comberford (the Comberford cross with five red roses, impaling the Beawlott arms) were once illustrated in the painted glass windows in Saint Bartholomew’s that were smashed during the Cromwellian era. In his will, John left one mark (6 shillings 8 pence) to the churchwardens of Saint Bartholomew’s “to bestow on the church” and another mark to the church for his burial. ● 1a, Humphrey (‘Gomfrey’) Comberford, who was alive at the time of his father’s death, and was buried in Wednesbury on 10 August 1566. ● 6a, Elizabeth, who died young and was buried in Wednesbury on 12 August 1566. ● 8a, Katherine of Stone, who married John Badduley or Bodilighe of Elerton Grange, Staffordshire, who died ca 1605/1606. She was fined with her cousin Dorothy Heveningham (see below) for non-attendance at church in 1581. 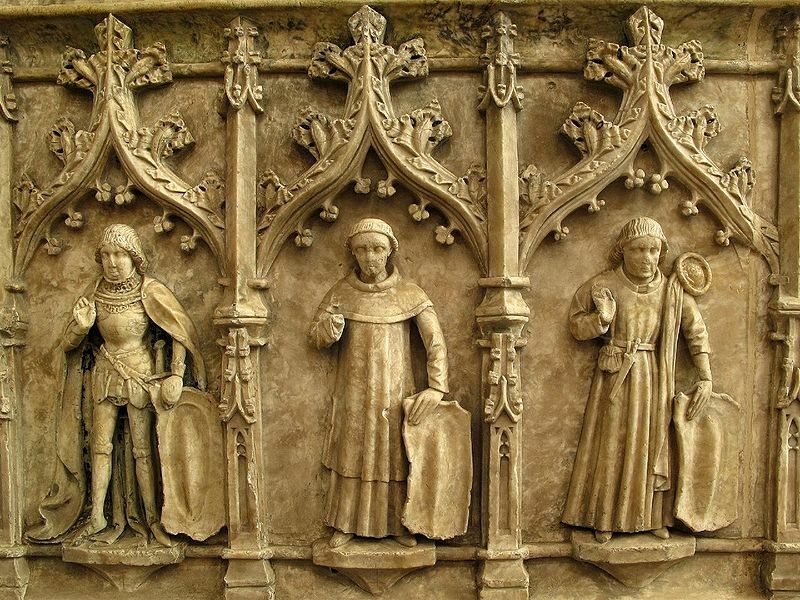 ● 9a, … a fourth daughter, according to Shaw’s description of the Comberford tomb in Saint Bartholomew’s Church. ● 2a, Dorothy, married Christopher Heveningham of Aston and Pipe Hall. She was fined with her cousin Katherine Badduley or Bodlilighe of Stone (see above) for non-attendance at church in 1581. Pipe Hall, the manor of Pipe at Burntwood, west of Lichfield, is part of Saint Michael’s Parish, Lichfield, and during the reign of Elizabeth I, according to Greenslade, “the manor was a nest of Papists.” In 1606, their son, Sir John Heveningham of Pipe Hall, a suspected papist, was accused of failing to attend Saint Chad’s Church, Stowe, but he defended himself by pointing out that he had worshipped at Lichfield Cathedral and that Stowe was not a parish church. 6, Mary, who married John Revelle of Comberford. She was later implicated with her nephew, Thomas Comberford, in the plots by the Staffordshire Catholic gentry in support of Mary Queen of Scots. 7, Matilda, who married Richard Everard of Thurston Hall, Staffordshire, and Shenton, Leicestershire, ancestors of the Everard family of Shenstone, near Lichfield. 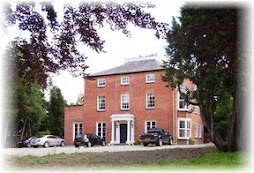 Their great-granddaughter, Margaret Everard, married Sampson Wolfreston, ancestor of Sampson Wolfreston, who inherited the Moat House in Tamworth in the 18th century [see Comberford 9: The Moat House, Tamworth]. 8, Katherine, who married Richard Purfey of Caldecote, Warwickshire. They had a son Francis and a daughter Dorothy. The Purfey or Purefoy family were leading Puritans, and the Fenny Drayton branch of the family were landlords of the home village of George Fox, founder of the Quakers. William Purfey MP was one of the regicides who signed the death warrant for Charles I, and was the commander of the force that captured Tamworth Castle in June 1643 after defeating a royalist garrison commanded by William Comberford (see below). 10, Elizabeth, who married William Stanford of Packington, living in 1583. Bishop’s Itchington, or Fisher’s Itchington, is a village near Stratford-on-Avon, Warwickshire. It derives its name from the River Itchen and from the Bishops of Lichfield, the former land owners of the village. The prebend of Bishop’s Itchington was traditionally held by the Precentor of Lichfield, the first residentiary canon of the cathedral. Henry was still Prebendary of Bishop’s Itchington on 15 April 1558, and appears on the pardon roll of 15 January 1559. Henry was deprived as the Precentor of Lichfield and Prebendary of Bishop’s Itchington that year, and was succeeded by Edward Leds or Leedes. In 1560, he was deprived of the parish of Yelvertoft. Later, Henry was ordered to live in Suffolk but was given the liberty to travel twice every year into Staffordshire, allowing six weeks on each occasion. He was apprehended for celebrating the mass in the house of Anne Percy (1538-1596), Countess of Northumberland. In 1570, he was before the Yorkshire ecclesiastical commissioners for defending the Mass. By 1579, when he was aged 80, Henry Comberford was a prisoner in Hull for his religious beliefs, which were regarded as dangerous to the state. Henry died on 4 March 1586 in Hull Prison. Henry Comberford was also a contemporary of the Revd Robert Comberford, who was instituted as Vicar of Hope, near Buxton in Derbyshire, in 1532 following the death of the Revd Thomas Lowe. However, Robert does not seem ever to have held the benefice, and later in 1532 Nicholas Haye or Heys was Vicar of Hope. Robert’s connections with the family have not been identified. HUMPHREY COMBERFORD (ca 1496/1498-1555), son and heir of Thomas Comberford. He succeeded to his father’s estates in 1532. Lee says Humphrey was born ca 1485 and Adams says he was born in 1491, but as his father’s first wife was alive until at least 1495, Humphrey must have been born after that, ca 1496-1498. 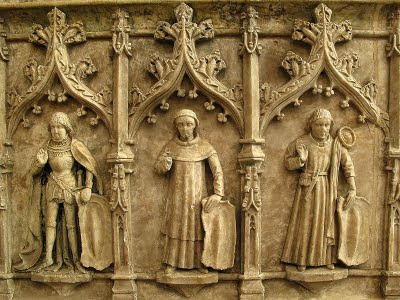 With his brothers Henry Comberford and Richard Comberford, he was educated at Cambridge (BA 1525, MA 1528). The three brothers appear to have benefited under the terms of a bequest from John Bayley, and his brother who had funded a fellowship at Saint John’s College, Cambridge, stipulating that preference be given to men from Tamworth. 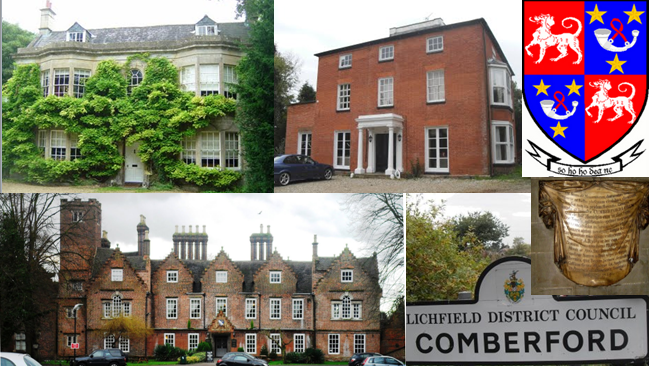 In 1528, Humphrey Comberford came into possession of the extensive Hopwas estates between Lichfield and Tamworth, which were granted by Canon Hugo de Hopwas to John de Comberford some generations earlier. In 1528, the Prebend of Wigginton and Comberford was valued at £10 a year. In Lichfield in 1530, as “Humfridus Cumberforde,” he was the Master of the Guild of Saint Mary and Saint John the Baptist. His sister-in-law, “Dame Isabella Cumberforde” (Isabel Biggs), wife of Judge Richard Comberford [see Comberford 7: The Quaker Comberfords of Bradley, Staffordshire] was admitted to membership of the guild that year while Humphrey was master. Humphrey Comberford was accused of riotous behaviour near the Gun Butts at Drayton Bassett in 1531. In 1539, the Muster Rolls list “Humphray Cumborford of Wyggentun and Comberford” as being ready with horse, harness and bill to fight against France and the German Empire. In 1544 he was recorded as holding lands in Wednesbury and Walstead Delves, which he held on behalf of his wife. He also held the Manor of Watford, Northamptonshire, and Morecote in Staffordshire. Around this time he leased Hopwas, a wooded manor on the banks of the Tame near Comberford, from Humphrey Swynerton. 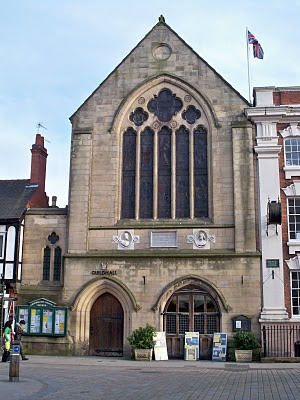 At the Reformation, the college in Tamworth was dissolved, the school was disendowed in 1547-1548, and the Spital Chapel in Wigginton was closed in 1548. That year, the Prebend of Wigginton and Comberford was valued at £13.16.8 a year. Meanwhile, in 1548, Lichfield was incorporated as a town under a charter from Edward VI. The lordship and manor of Lichfield, previously held by the Bishop of Lichfield, was now leased to the Corporation of Lichfield, and the town’s government in vested two bailiffs and 24 burgesses, and five years later, in 1553, Queen Mary made Lichfield a county separate from the rest of Staffordshire. Humphrey Comberford was accused once again in 1549 of riotous behaviour near the Gun Butts at Drayton Bassett. Between 1553 and 1555, the Dean and Chapter of Christ Church, Oxford, took an action against Humphrey Cumberforde, seeking rent from the Manors of Wigginton and Comberford of £29 a year first given to the Masters, Fellows and Scholars of Christ Church by the heirs of George Neville, Lord Abergavenny. Christ Church was originally founded by Henry VIII’s Lord Chancellor, Cardinal Thomas Wolsey, in 1525, was refounded by Henry VIII as King Henry’s College in 1532, and was renamed Christ Church in 1546 when the college chapel also became the cathedral of the newly-formed Diocese of Oxford. Humphrey Comberford died two years later on 23 December 1555, probably in Northampton, and his will was proved on 7 November 1556. 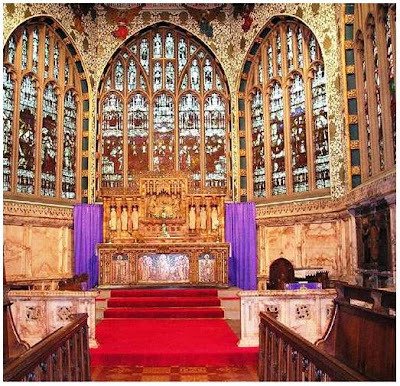 He was probably buried with his wife Dorothy in Saint Bartholomew’s, Wednesbury, where the impaled arms of Comberford and Beaumont were once part of the painted glass windows. An inquest in Tamworth on 10 April 1556 showed he died seized of the Manor of Wigginton with 510 acres, held from George Neville; lands in “Hoppas,” Comberford, Tamworth and Coton, a fair held twice a year in Tamworth, a market and a fishery in the River Tame, from Lady Bridge; the Manor of Comberford with 1,800 acres of land and wood in Comberford, Wigginton, Hopwas and Coton. From these, he paid £29 a year to the Masters, Fellows and Scholars of the New College, alias Christ College, Oxford, which was to be paid by fealty from the heirs of George Neville, Lord Abergavenny. The parish registers of Tamworth, which provide many biographical details for members of the Comberford family, began in 1558, two years after Humphrey Comberford’s death. The Deanery of Saint Editha’s Collegiate Church was destroyed by a fire in 1559. Humphrey Comberford married Dorothy, second daughter and co-heir of John Beaumont of Wednesbury, Staffordshire. Her two sisters were married to first cousins of Humphrey Comberford: Jane married William Babington of Teremore; Eleanor married Humphrey Babington of Rothley Temple, Leicestershire, ancestor of Canon Zachary Babington, Chancellor of Lichfield Cathedral and Master of Saint John’s Hospital, Lichfield, whose grand-daughter Margaret married John Birch, one of the trustees of the Comberford estates in the 1650s [see Comberford 5: Recusants, royal guests and civil war]. Dorothy (Beaumont) Comberford eventually inherited the Beaumont estates, which became part of the Comberford estates inherited by their eldest son, Thomas Comberford. Dorothy died in 1565. 1, Thomas Comberford, of whom next. 2, Humphrey Comberford, who, under his father’s will, was to inherit the Manor of Watford in Northamptonshire. This manor was to be held by Humphrey from his elder brother Thomas at an annual rent of one red rose and was to revert to Thomas after 60 years. Humphrey also inherited the Hopwas estates, but these subsequently passed to the Wolferstan family. Humphrey died unmarried in 1545 before his father’s death. 3, Mary (or Dorothy), who lived at the Moat House in Tamworth. She was twice married. Her first husband was Thomas Endsore of Comberford, who was descended from the Comberford family. Thomas died ca 1561, and she married secondly, before 12 May 1563, Walter Harcourt of Tamworth. She was living in Tamworth in 1563. Although the Moat House had been Comberford family property in the previous century, in 1549 it was granted to Thomas Endsore by Richard Jekes. Under an agreement made in 1554, the ultimate right to the “capital messuage” of the Moat House should rest with the heirs of Mary’s father, Humphrey Comberford. Thomas died soon after, “seised of the manor or capital messuage called the Mote in Tamworth, and of land in Tamworth, Wigginton and Coton in County Stafford.” In 1571 Walter Harcourt was involved in a lengthy legal battle with the Jekes family to prove that the Moat House, then valued at £500, and about 600 acres was rightly his. The courts upheld that the Moat House was transferred from Jekes to Ensore in 1549 and was legally the estate of Endsore’s widow. When Mary died ca 1591, the title to the Moat House reverted to the Comberford family, although Walter Harcourt continued to live there until his death in 1598. Walter Harcourt was buried in Saint Editha’s, Tamworth, on 8 January 1598. ● 1a, Christopher Endsore (1562-1600) of Comberford. He married Jane (or Siscell) Breton, daughter of John Breton of Tamworth, on 23 January 1591/1592. ●● 1b, Thomas Ensor of Wilnecote, his son and heir, buried 18 February 1629. He is the ancestors of the Ensor family who held Wilnecote (Wilmcote) until it passed through a female line into the hands of the Paul family some 200 years later. ●● 2b, Barnaby Ensor of Wylnecote, yeoman. He married ca 1579 Agnes, daughter and co-heir of John Alport of Hatherton, Staffordshire. His will was proved in Lichfield on 23 February 1599, and he was buried in Tamworth. She was buried on 14 November 1625. ●● 3b, Ann, married William Nicklyn in 1588. ●● 4b, Walter Ensor, married and had several children, including Ann, Dorothy, Jane, Elizabeth and Katherine. ● 9a, Edward Harcourt, still living in 1596, and who was buried in Tamworth on 4 September 1609. 4, Isabel, wife of Gervase Rolleston. They had no children. Was she the same person as Isbaell Cumberford who married John Coton in Tamworth on 29 November 1557? 5, Constance, who died young and unmarried. THOMAS COMBERFORD (ca 1530-1597), who was born ca 1530. He was aged about 24 or 25 when he inherited the Comberford estates when his father died in 1555. Ten years later, he acquired the Beaumont family estates in Wednesbury through his mother, along with the former estates of the Heronville family in Tynmore, near Fisherwick. Thomas remained head of the Comberford family for 40 years, and during that time made a determined effort to increase the power and influence of the family throughout Offlow Hundred. Thomas Comberford was released after a short period. 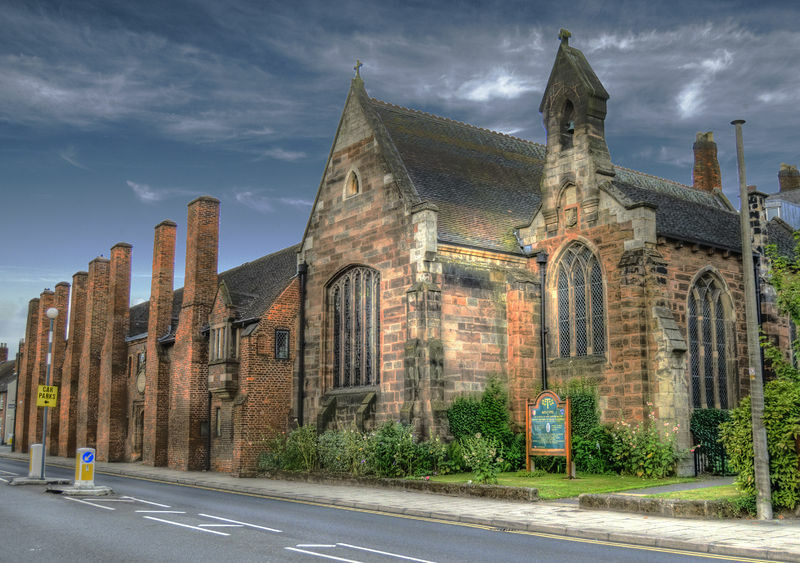 He, his wife Dorothy, and many other members of the family were fined on several occasions in Wednesbury and Leek in the 1580s for non-attendance at church. Thomas appears to have more careful to conform for the rest of his life. Although he and his family were frequently in trouble for non-attendance, he appears to have avoided the punishments inflicted on him. However, in April 1588, his tenants, including Thomas “Heethe” [Heath], were accused of harbouring seminarians and priests, including one “James Harryson.” Harrison and Heath were arrested at Comberford were imprisoned in London. They were eventually released, but Harrison was arrested again in Yorkshire in 1602 and executed in York. Until 1564, one-third of the Manor of Wednesbury was in the hands of Sir Thomas Babington, and one-third in the hands of his brother Anthony Babington. However, in 1565 Thomas Comberford secured full possession of the whole of the Manor of Wednesbury, with its dependent estates and lands in Staffordshire and Derbyshire. 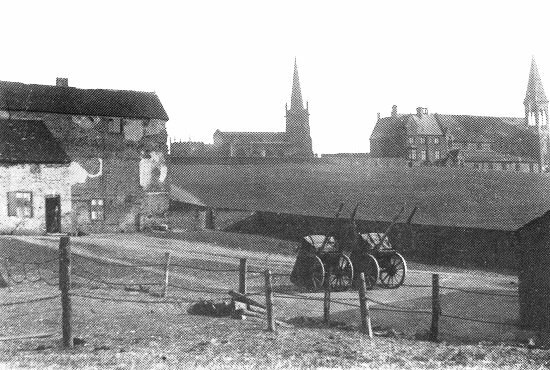 These included: the manors of Wednesbury and Tynmore, 120 acres of land, 40 acres of wood, 10 acres of land, and 10 acres of meadow in Wirksworth and Kirk Ireton, near Matlock in Derbyshire; £10 rent in Wednesbury, Waltswoode, Finchpath and Tibinton; and a fifth-part of the Manor of Egginton in Derbyshire, half-way between Burton-upon-Trent and Derby. However, Thomas Comberford’s relations with his tenants in Wednesbury were never very happy, and there was a series of lawsuits which arose from quarrels between Thomas Comberford and Thomas Parkes, the most powerful of Comberford’s tenants in Wednesbury and a prosperous iron founder. Thomas Comberford also acquired new land for the family in other parts of Staffordshire. The Nevilles of Abergavenny, sold the Manor of Wigginton, which had been in the hands of the Nevilles since soon after the Norman Conquest, to Thomas during the reign of Philip and Mary (1553-1558). Thomas held the Manor of Comberford in perpetuity from the heirs of George Neville, Lord Abergavenny, with a ground rent of £29 payable annually to “the masters, fellows and scholars of Christ’s College, Oxford,” that is, Christ Church, Oxford, who had acquired the right to this charge from Roland Hill. This estate included the Manor of Comberford, one water mill, 524 acres of meadow, 200 acres of wood, 200 acres of land, £10.10.0 in rent, 30 messuages, 10 cottages, 200 acres of pasture, and common pasture for 100 cattle and 500 sheep in Hopwas, Wigginton, Coton, Chesterfield, Tamworth and Comberford. At this time, Thomas Comberford also acquired land in and about Tamworth. In 1567, he raised £600 by mortgaging almost all the family lands, including four water grain mills, almost 4,000 acres of land, coalmines and stone quarries, and a rent of two pounds of peppercorn in Comberford and other villages. The loan was soon paid off and was cleared some years before Thomas’s death. By 1589, Thomas Comberford’s eldest son and heir, William Comberford, was living at Comberford, and in 1591, when the Moat House reverted to the Comberford family, William Comberford, took up residence there. A year later, in 1592, Thomas Comberford, his wife Dorothy, and his son and heir, William, were holding the Manors of Comberford, Wigginton and Wednesbury, which included: 41 messauges, 12 cottages, four water grain mills, a windmill, two dovecotes, 100 gardens, 40 orchards, 810 acres of land, 404 acres of meadow, 820 acres of pasture, 800 acres of wood, 1,500 acres of furze and heath, a mine of coals, a quarry of stones, at £7 of rent, and a rent of £2 of pepper in Comberford, Wygenton, Wednesbury, West Bromwich, Tipton, Tamworth, Hopwas and Coton, as well as a free warren in Comberford, Wednesbury and Hopwas and the Hay of Hopwas, with the appurtenances within the forest of Cannock, and a free fishery on the waters of the River Tame. Thomas Comberford married Dorothy, daughter of William Wyrley of Hampstead, near Birmingham, and his wife Elizabeth Cave of Stamford. Thomas Comberford was still living in 1596. He died at Wednesbury Hall on 20 December 1597 and he was buried in Saint Editha’s Church, Tamworth, on 23 December 1597. His widow Dorothy died at Wednesbury, and she was buried with her husband on 6 January 1599/1600. 1, William Comberford (1551-1625), of Comberford and Wednesbury, Staffordshire and Kingsbury, Warwickshire, of whom next. 2, Humphrey Comberford, who was buried at Tamworth on 5 August 1609. 3, Edward Comberford, who was fined in 1584 at Wednesbury for non-attendance at church. He was buried in Wednesbury on 29 October 1699. ●● 1b, Edward Stanford, who was one of the witnesses to the Comberford deed in 1599 signed by William Comberford of Tamworth and his brothers John Comberford and Thomas Comberford [see Comberford 5: Recusants, royal guests and civil war.] He was the father of Colonel Edward Stanford, a royalist colonel during the English civil war. ●● 3b Ralph Stanford, who died childless. ●● 4b, Henry Stanford, who died childless. ●● 6b, Anne, who married Richard Berrington of Clowerne, Herefordshire. ●● 7b, Margaret, married Godfrey Crew. ● 3a, William Stanford, married Eleanor Palmer. ● 5a, Ralph (‘Raufe’) Stanford, MA. ● 7a, Catherine, who married John Banbury of London. ● 8a, Frances, who married Thomas Repington of Amington Hall, near Tamworth, and had three sons, John, Humphrey and Edward Repington. 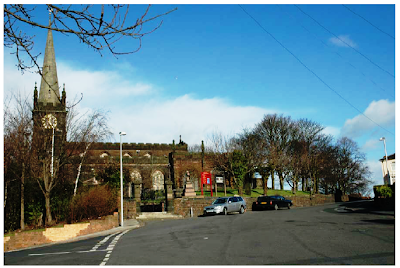 Thomas Repington bought the right of the patronage of Saint Editha’s Church in 1581, which his descendants exercised until the 19th century. The eldest son and Dorothy and Thomas Comberford, William Comberford (1551-1625) of Comberford and Wednesbury, used his wealth from the Comberford family estates in Wednesbury, which had been inherited through the Beaumont family, to advance his family’s political, economic and social power in South Staffordshire [See Comberford 5: Recusants, royal guests and civil war]. H.P., p. 244; Shaw 1, p. 439; Adams, p. 7. From: ‘Staffordshire Fines: Edward IV and Richard III,’ Staffordshire Historical Collections, vol. 11 (1890), pp 238-242, http://www.british-history.ac.uk/report.asp?compid=52504 (28.4.2007). Gretton (Sherard) Mss, Leicestershire, Leicester and Rutland Record Office, Quitclaim DE1431/292 dated 20 November 1478. Shaw 1, p. 434; Adams, p. 8. Staffordshire Record Office, Mss Records of the Paget family, Lords Paget of Beaudesert, Earls of Uxbridge and Marquesses of Anglesey, Title Deeds and related papers of the estates of the Abbey of Burton upon Trent, Abbacy of Thomas Feylde, D 603/A/Add/731. NA Exchequer, Augmentation Office, Ancient Deeds, Series B E 326/2801. Adams, p. 7; Josiah C. Wedgwood, ‘Staffordshire Parliamentary History from the earliest times to the present day, vol 1 (1213-1603), Staffordshire Members of Parliament,’ Collections for a History of Staffordshire, vol for year 1917, series 3 (London: Harrison and Sons, for the William Salt Archaeological Society, 1919), p. 287 and 287 fn 11. Erdeswick, p. 308; Visit Warwicks, p. 35; Shaw 1, p. 434; Adams, p. 8; ‘Stoke Bruerne,’ A History of the County of Northamptonshire: vol 5: The Hundred of Cleley (2002), pp 374-413, http://www.british-history.ac.uk/report.asp?compid=22791&strquery=Cumberford (12.8.2007). Visit Warwicks, p. 35; Shaw 1, p. 434; Adams, p. 8. ‘Townships: Fisherwick with Tamhorn,’ A History of the County of Stafford: vol 14: Lichfield (1990), pp 237-252, http://www.british-history.ac.uk/report.asp?compid=42360&strquery=Comberford (2.4.2007). Hackwood, p. 56; SHC, vol 11, p. 258, No. 64; SHC, 1890 vol, p. 264; Adams, pp 7-9. Shaw 1, p. 434; she is not named in Visit Warwicks, p. 35. Visit Warwicks, p. 35; Shaw 1, p. 434; Adams, p. 8; ‘Fitzherbert 01,’ http://www.stirnet.com/HTML/genie/british/ff/fitzherbert01.htm (16.5.2007). Burke’s Peerage, various eds, s.v. Fitzherbert; ‘Fitzherbert 01,’ http://www.stirnet.com/HTML/genie/british/ff/fitzherbert01.htm (16.5.2007); Stone, pp 12-13. ‘Visitations of Staffordshire,’ SHC 5/2 (1884), p. 92; Visit Warwicks, p. 34; Shaw 1, p. 434; Adams, p. 8. Visit Warwicks, p. 35; Shaw 1, p. 434; Adams, p. 8; Sir George Armytage (ed), Allegations for marriage licences issued from the Faculty office of the Archbishop of Canterbury at London, 1543 to 1869 (London: Harleian Society, 1886), 13 February 1548/49. FRH Du Boulay, The Lordship of Canterbury (London: Thomas Nelson, 1966), p.398, citing Lambeth Palace Library, LR 1370; Shaw 2, p. 87; Bagnall, p. 32. Shaw 2, p. 87; Bagnall, p. 32; the Visitations of Staffordshire (p. 25) says he was buried at Wednesbury 15 April 1559. Shaw 2, pp 84, 86; Bagnall, p. 146. Bagnall, p. 58; Kettle (ed. ), p. 24. Visit Staffs (1912), pp 205-206; Visit Warwicks, pp 266, 267, 169, 271. ‘Visitation of Staffordshire,’ SHC 5/2 (1884), pp 25-26, where her husband’s name is spelled Badduley; Visit Warwicks, p. 35, where her husband’s name is spelled Badeleighe; Shaw 1, p. 434; Adams, p. 8. ‘Visitations of Staffordshire,’ SHC 5/2 (1884), p. 173; Visit Warwicks, p. 35; Shaw 1, p. 434; SHC 3/2 (1882), p. 52, f.n. ; Adams, p. 8. ‘Visitations of Staffordshire,’ SHC 5/2 (1884), p. 173; Visit Warwicks, p. 35; Shaw i, p. 434; SHC 3/2 (1882), p. 52, f.n. ; Adams, p. 8; Greenslade, Catholic Staffordshire, pp 104-105; Greenslade, ‘The Popish of Lichfield,’ p. 131. VCH Staffs, p. 206; Greenslade, Catholic Staffordshire, pp 87, 110 n. 26; Greenslade, ‘The Popish of Lichfield,’ p. 131. Greenslade, A History of Lichfield … ecclesiastical history, p. 139. SHC 3/2 (1882), p. 137. Visit Warwicks, p. 35; Shaw 1, p. 434; Adams, p. 8; ‘Archdeacon of Coventry,’ Wikipedia, http://en.wikipedia.org/wiki/Archdeacon_of_Coventry, last accessed 5.3.2014. Shaw 1, pp 287, 289, 297, 434; Alum. Cantab, 1/1, p. 377; Harwood, pp 193, 195, 420; Bagnall, p. 130; Adams, pp 8-9; Acts of the Privy Council 1558-1570, pp 60, 64, 71, 87; C.P.R. 1558-1560, p. 170; Cal. S.P. Dom. 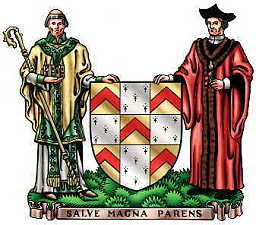 Addenda 1547-1565, p. 522; ‘Precentors of Lichfield,’ Fasti Ecclesiae Anglicanae 1541-1857: vol 10: Coventry and Lichfield diocese (2003), pp 16-18, 78-94, http://www.british-history.ac.uk/report.asp?compid=%2034739, 34773 (28.4.2007); VCH Staffs 3, p. 169; Greenslade, Catholic Staffordshire, pp 39-40; Greenslade, ‘The Popish of Lichfield,’ pp 129-130; Greenslade, A history of Lichfield … Ecclesiastical History, p. 155; Savage, pp 11-13; Upton, pp 44-46; ‘Bishop’s Itchington,’ http://%20en.wikipedia.org/wiki/%20Bishops_Itchington (14.5.2007). Bagnall, p. 130; JH Pollen, Unpublished Documents Relating to the English Martyrs, vol 1 (Catholic Record Society, 1909), p. 192; http://library.ferris.edu/~cochranr/gen/fam00251.htm (17.8.2007). WS Porter, Notes from a Peakland Parish: An Account of the Church and Parish of Hope in the County of Derby (1923), p. 30. ‘Visitations of Staffordshire,’ SHC 5/2 (1884), p. 92; Visit Warwicks, p. 35. Al Cantab, p. 377; see Adams, p. 9, and Lee, p. 14. Greenslade, Catholic Staffordshire, p. 13. VCH Staffs 3, p. 314; see Adams, p. 9. SHC vol 6 (NS), 1901, ‘Muster Roll for Offlow Hundred 1539’. Court of Chancery, Six Clerks Office, Early Proceedings, Richard II to Philip and Mary C 1/1372/40. Shaw 1, pp 431-432, 434; Adams, p. 8. NA, Exchequer, King’s Remembrancer, Escheators’ Files, Inquisitions Post Mortem, Series II, and other inquisitions, Henry VIII to Elizabeth I, E 150/710/2; Shaw 1, pp 431-432, 434; Adams says he probably died in 1555. See Court of Chancery, Six Clerks Office, Early Proceedings, Richard II to Philip and Mary C 1/1372/40; check other refs. Shaw ii, p. 84; the Visitation of Warwickshire in 1619 records only two daughters, Mary and Isabel, and two sons, Thomas and Humphrey (Visit Warwicks 1619, p. 35). Visit Warwicks (1619), p. 35; Shaw 1, p. 434; Erdeswick, p. 293; Adams, p. 8. Visit Warwicks (1619), p. 35; Shaw 1, p. 434; Adams, p. 8. Tamworth Par Regs, p. 96; Shaw 1, pp 327, 434; SHC 2/2 (1881), p. 70; SHC (1931), pp 152-153; Adams, pp 1-2, 23-25; Stone, pp 54-55; see Palmer (1845), p. 494, where he states the Moat House was built by William Comberford in 1572; he points out that it was owned by the Harcourt family in the reign of Philip and Mary, and wonders whether the house was rebuilt in 1572. SHC 3/2 (1882), p. 69; Shaw 1, pp 327, 434. Tamworth Par Regs, p. 178; SHC 3/2 (1882), p. 69; Shaw 1, pp 327, 434; Lee, p. 14. SHC 3/2 (1882), p. 69, which says Shaw is wrong in naming him here; Shaw 1, pp 327, 434; he is not named by Lee (see Lee, p. 14). SHC 3/2 (1882), p. 69; Shaw 1, pp 327, 434; Lee, p. 14. Tamworth Par Regs, p. 42; SHC 3/2 (1882), p. 69; Shaw 1, pp 327, 434; Lee, p. 14. SHC 3/2 (1882), p. 69; Lee, p. 14. SHC 2/2 (1881), p. 70. Percy W.L. Adams (ed), Tamworth Parish registers, part 1, 1558-1614 (privately published for the Staffordshire Parish Register Society, n.d., ca 1917), p. 12. Visit Warwicks (1619), p. 35; she is not named in Shaw 1, p. 434 or in Adams, p. 8. ‘Visitations of Staffordshire,’ SHC 5/2 (1884), p. 92; Visit Warwicks, p. 35; Shaw 1, p. 434; Adams, p. 8. Shaw 1, p. 434; Erdeswick, p. 293; Adams, p. 8. Shaw 1, pp 375, 434; Shaw 2, p. 84; Adams, p. 2. SHC (1915), p. 371; Bagnall, p. 130; Adams, pp 9-10; Greenslade, Catholic Staffordshire, p. 40. HMC 4/1, p. 332; Greenslade, Catholic Staffordshire, p. 62; Anstruther 1, pp 150-151. SHC 13, p. 267; Adams, pp 2, 10. SHC 15 (1894), p. 193, quoting Final Concords 1580-1589; Adams, p. 10. Final Covenants, 33 Elizabeth, in SHC 16 (1899), pp 110-111. ‘Visitations of Staffordshire,’ SHC 5/2 (1884), p. 92, although this marriage is not recorded in the Wyrley pedigree, pp 334-335; Visit Warwicks (1619), p. 35, where she is named incorrectly as Dorothy Worklay; Shaw 1, p. 434; Adams, p. 8. Visit Warwicks (1619), p. 35; Shaw 1, p. 434; Shaw 2, p. 114; Erdeswick, p. 293; Adams, p. 8. Tamworth Par Regs p. 161; the will of his son William Comberford, NA Prob/11/148, f. 336; Visit Warwicks (1619), p. 35; Shaw 2, p. 84; Erdeswicke, p. 293. Wednesbury Burials 1561-1812 (LRO ts), p. 34; will of her son William Comberford, NA Prob/11/148, f. 336; Phillimore, Lichfield Wills, p. 180, where her administration is dated 1599. Visit Warwicks (1619), p. 35; ‘Visitations of Staffordshire,’ SHC 5/2 (1884), p. 92; Shaw 1, p. 434; Adams, p. 8. Tamworth Par Regs, p. 216; Visit Warwicks (1619), p. 35; he is not named in Shaw’s pedigree, see Shaw 1, p. 434. Wednesbury Burials 1561-1812 (LRO ts), p. 34. Visit Warwicks (1619), p. 35; Shaw 1, p. 434; Shaw 2, p. 109. Visit Warwicks (1619), p. 35; Shaw 1, p. 434; Shaw 2, p. 109; Adams, p. 8. ‘Visitations of Staffordshire,’ SHC 5/2 (1884), p. 280; Shaw 2, p. 109. ‘Visitations of Staffordshire,’ SHC 5/2 (1884), p. 280; Shaw 2, p. 109; Erdeswick (1820), p. 109. ‘Visitations of Staffordshire,’ SHC 5/2 (1884), p. 280. Visit Warwicks (1619), p. 35; ‘Visitations of Staffordshire,’ SHC 5/2 (1884), pp 92, 280; Shaw 1, p. 434; Shaw 2, p. 114; Adams, p. 8. Shaw 2, p. 109; Stone, pp 44-46. © Patrick Comerford, 2007, 2008, 2009, 2010, 2011, 2012, 2013, 2014, 2015, 2016. Last updated: 8 July 2008; 12 July 2009, 15 August 2009, 19 September 2009, 9 November 2009; 11 August 2010, 20 December 2010; 3 January 2011, 26 April 2011, 25 May 2011; 28 January 2012, 26 April 2012, 2 and 5 May 2012; 3 April 2013; 2, 7, 10 and 19 June 2013; 5 March 2014; 17 June 2015; 13 January 2016. There seems to be a problem with Elizabeth Comberford having married Sir William Stanford.The Oxford Dictionary of National Biography shows his wife as Alice Palmer. I would appreciate your comments. Thank you for your question Roger. There are two women named Elizabeth Comberford who are said to have married Sir William Stanford. Which marriage are you questioning? Each is footnoted for sources at the end of the page. The marriage in question is referenced no 113. The children of Sir William Stanford agree with my information i.e.Robert Stanford and his wife Ann Leveson. I have Sir William's wife as Alice Palmer as shown in the Oxford Biography. In addition, I have this information from a third party. "An Elizabeth Cumberford did marry a William Stamforde, but this William was a 1st cousin 2X removed of the judge. This is laid out in the published 1583 visitation of Stafforshire. In Sir William's will he names Alice his wife as executor. The comberford website claims that Elizabeth who married Sir William was still alive in 1584 which, if true, rules her out as William's wife since he died in 1558".